INDEL Group is the largest company for production and ditribution of transformers, inductive components, power systems, electronic power supplies in Poland. It is located near the city of Lodz, Poland and posses a wide distribution network and market in Russia, Hungary, Ukraine, Romania, Serbia, Slovenia, Lithuania, Latvia, Estonia, Czech Republic, Croatia and Poland. 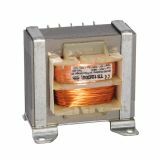 In 1998, INDEL started to produce high performance toroidal transformers, and with years expanded its range to a wide range of pulse transformers, auto-transformers, network transformers - single-phase and three-phase, all of which meet PN- EN 61558 quality standard. 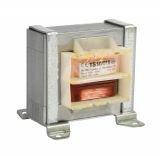 All INDEL transformers are designed and constructed in accordance with the highest international standards, manufactured with best quality components, thanks to which are able to meets all European requirements and standards, which is one of the reason INDEL to be a leader on the Polish market and to own a very solid reputation abroad. In 2003 INDEL started to manufacture a variety of power packs and gradually expanded its catalog with different electronic devices such as battery chargers, voltage regulators and network power amplifiers. Since 2005, the company is accredited to ISO 9001: 2000 - Quality Control and Management System and got a certificate issued by TÜV Rheinland InterCert Kft. At the moment, most of the production processes at INDEL are carried out automatically and semi-automatically. INDEL brand products can be found and purchased at VIKIWAT Ltd or directly via our online store. 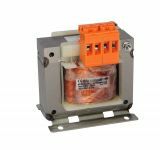 VIKIWAT Ltd. is a direct importer and an autorised distributor of INDEL, thus we are able to offer a wide range of toroidal and pulse transformers on stock with flexible terms for wholesale orders. 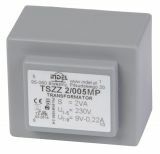 Transformer 230/24VAC, 200VA Transformer with 200 VA output and 24 V secondary winding voltage. 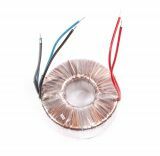 Toroidal transformer 230/2х30VAC, 250VA Toroidal transformer TST 250/030 with output voltage of the secondary winding 2x30 VAC and power 250 VA.
Toroidal transformer 230/55 + 55VAC, 2000VA Toroidal transformer TST2000 / 001 with secondary winding output 2 x 55 VAC and power 2000 VA.
Transformer 230/2х12VAC, 12VA W-type transformer with power 12 VA and secondary voltage 2x12 VAC. 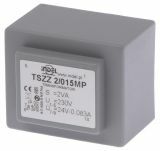 Transformer 230/24V, 100VA Transformer with 100 VA output and 24 V secondary winding voltage. List Price 44.90лв. VAT Incl. 42.65лв. VAT Incl. 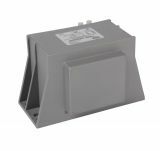 Transformer 230/12VAC, 10VA W-shaped transformer with 10 VA output. 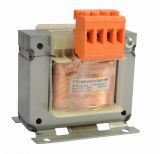 Transformer 230/12+12VAC, 25VA W-shaped transformer with power 25 VA.
Toroidal Transformer 230 / 12 VAC, 20 VA Toroidal transformer with secondary voltage 12 VAC, current in the secondary winding 1.67 A.
Transformer 230 / 42VAC, 100VA W-shaped transformer with power 100 VA and secondary winding voltage 42 VA.